If you have ever spent any time at all watching NBA basketball, you know how much a big man in the centre gain is an impact on any game at any time. There massive dunks off alley-oops to strong, aggressive blocked shots have been a part of basketball for many years. Fans would go to the courts to see legends like Shaq and Hakeem Olajuwon only to receive just what they were looking for when they purchased a ticket. Today is no different. There are many great centers that play in the NBA and we will take a glance at some of the top centers to watch in the upcoming 2014-15 season. Counting down from the bottom to the top here are the centers to watch. 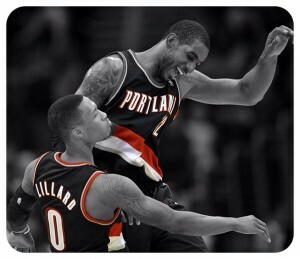 Only playing 17 games last season due to injury Brook looks to put together a strong push in this upcoming NBA season. The injury issue is something to keep an eye with this center. In the past three seasons, he missed 134 games due to injury. At an average of almost 21 ppg. He could be a strong contributor to the Brooklyn Nets. One of the weak points of Drummond is his terrible free throw shooting. Although he did put up some impressive stats in the 2013-14 season for the Pistons, he seems to be a little overrated. Look for him to put this fact behind him and prove that he will be an upcoming force in the 2014-15 season. Last season Bogut put up the second highest defensive rating at 96.3 in the NBA. He also finished the season in the top 5 for rebounding and blocking percentage. Look for Bogut top help Golden State to make a strong run this season. The 2013-14 season was a short one for Horford. Due to an injury with a pectoral muscle, he only managed to play in 29 games last year. He still managed to put up an 18.6 ppg. If he stays healthy his ability to stretch the floor will help the Pacers this year. He would probably be ranked higher if he weren’t so injury prone. With a 13.6 RPG. Average DeAndre led the league in rebounds in the 20113-14 season. He also posted career highs last year in scoring, rebounding, and blocks. He will be one of the league’s most dominant shot blockers in 2014-15. Look for his strong defensive effort to continue this season for the Clippers. Cousins put up some impressive numbers in the last NBA season that led him to have the best season of his career. Even though he needs to work on his attitude towards his teammates you can still look for Demarcus to bring the 22 ppg average back this year to help Sacremento. After missing 23 games last year due to injury, you can look for a healthy Marc to return to the Memphis Grizzlies. In known as one of the leagues stiffest defenders. His 14.6 ppg isn’t bad to go along with his good defence. He will be a huge defensive presence this year especially if he stays healthy. As one of the biggest post scorers in the game, Al will be a huge contributor if Charlotte is going to be competitive in the 2014-15 season. He needs to improve on defence, but you can bet that will be no problem for this talented Charlotte Hornet. At almost 22 ppg look for him to contribute well with his post presence. This Chicago Bull has matured in a great way as an NBA player. After winning, NBA Defensive Player of the Year will have to keep up the pace with the new cast he will have around him in the upcoming NBA season. Look for this Houston Rocket center to be one of the strongest players on the court this year. If he has a strong year, he could match the great year he had with the Orlando Magic where he was a legitimate MVP candidate. 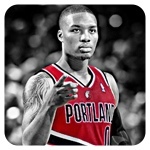 With a strong 18 ppg average, he may show why he is the number one spot this year. Save up to 50% on all NBA Tickets at Barry’s Tickets! Use discount code RTNBA at the checkout and save on NBA tickets for all teams! Some restrictions may apply, and the discount percentage may vary per team. Barry’s Tickets is an Official Partner of the Los Angeles Clippers and has guaranteed lowest price Clippers Tickets on the web as well as exclusive tickets now found on any other site! Deron Williams: Williams averaged only 14.3 points per game and 6.1 assists per game this season with the Brooklyn Nets Opening Day. These numbers would be great for a point guard coming off the bench, but Williams is a starter and making almost $20 million a season. The Nets would be better off trading him, but Williams’s huge contract and dismal performance make him very unattractive to potential teams. Chandler Parsons: For a small forward making about $14 million a season, 16.6 points, 5.5 rebounds, and four assists per game just does not cut it. Parsons simply does not produce well enough to earn the money he is making. There is a reason the Houston Rockets got rid of him this season despite having the cap room to be able to keep him. Josh Smith: Smith has been in the NBA for 10 seasons, yet his style of play has not improved at all. Smith shoots less than 30 per cent from beyond the arc and less than 55 per cent from the free throw line. 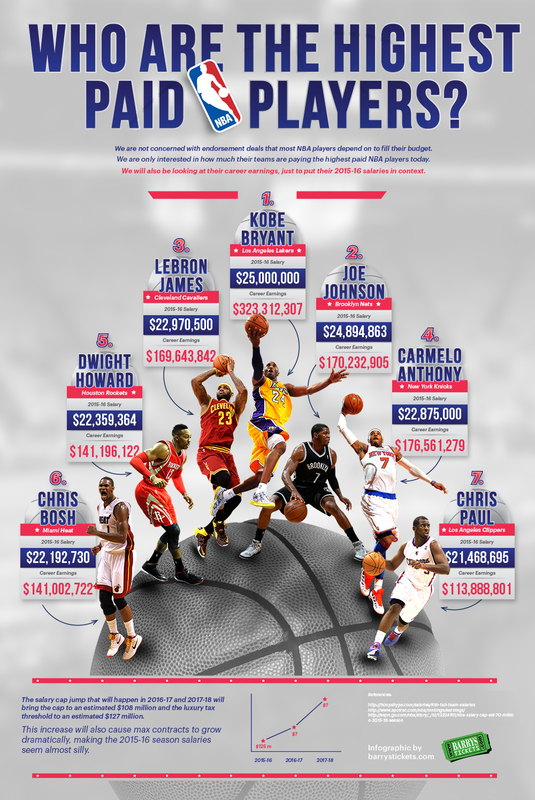 That’s right—Smith makes over $13 million a season, and he can barely hit a free throw. Dwight Howard: Howard puts up great numbers pretty consistently with the Houston Rockets, but what he lacks is leadership. Howard does not seem to have the passion and drive to lead a team to a championship. The Rockets have a good team, but they lack the veteran leadership that Howard is expected to provide. Until he gets an attitude adjustment, Howard will never be a legend. Tony Allen: Allen may be one of the best defenders in the NBA, but he simply cannot play offence. He is a big reason for the Memphis Grizzles offensive struggles this past season. Allen averaged only 9 points per game this past season while making less than 25 per cent of his three-point shots and only 62.8 per cent of his free throws. O.J. Mayo: Mayo brought nothing but confrontations with the head coach and sub-par effort to the Milwaukee Bucks this season. Mayo averaged under 12 points a game and was unhappy with his new team. Hopefully, a new coach and the addition of Jabari Parker will encourage Mayo to try a little harder this season. Carmelo Anthony: Anthony is without a doubt a fascinating player to watch, and the fans in New York will undoubtedly continue to fill the stands to see him play. However, Anthony is about to make $22 million this coming season; and he has a hard time leading his team to the playoffs. Anthony puts up massive numbers, but until he steps up as a leader on the Knicks, the team will continue to lose. As the Golden State Warriors’ co-owner Joe Lacob recently stated, anything but the conquest of the championship would be a failure for the team. No matter if this statement is a bit too optimistic or too harsh, it shows what mindset the Warriors should have heading into the postseason. The Dubs just recently secured their second consecutive playoff berth. During the previous season, Golden State made it to the second round, and it manages to stay alive for six games before the San Antonio Spurs got the ticket to the next round. During the summer that followed, it was made clear by the Warriors’ front office that the team would have to take a step forward and reach the top level. Former All-Star forward Andre Iguodala was brought aboard to help the Dubs make it to the top. The Warriors even got into the Dwight Howard chase, showing that they are talking seriously about championship contention. Although Howard wasn’t acquired, the Dubs made several mid-season moves to further strengthen their position and increase their chances to follow a championship course. Firstly with additions of Jordan Crawford and MarShon Brooks and then with Steve Blake, the Warriors tried to fill all their holes, and up to a level, they achieved exactly that. However, there is no doubt that at least if I had to judge from the current way the Warriors are playing, they still have a long way to go before they reach the level of the elites of the conference. In fact, considering that the Warriors will finish the regular season at the sixth or seventh spot, it will be very difficult for them to make it past the first round. The Splash Brothers are playing terrifically this season for sure and the supporting cast is providing the much needed help. Even guys like Jermaine O’Neal and Marreese Speights had their moments. However, it will be a miracle for the Dubs to eliminate the Oklahoma City Thunder or the Los Angeles Clippers, one of which will be their first round matchup. Due to their struggles early in the season, the Warriors haven’t managed to make it to seed in the Western Conference, which would have allowed them to hold the home court advantage or even face a relatively weak opponent in the first round. I firmly believe that no one should underestimate the Warriors this year. While they are relatively considered underdogs in the championship race, Steph Curry, and Klay Thompson have proven that they can sting like an angry duo of bees when they find the pace. The two big questions heading forward is if the Splash Brothers will manage to play big for the entire playoff series and if David Lee will be in a position to play. Joe Lacob was right when he talked about failure this year if the Dubs don’t make it to the top. That’s exactly how everyone around the Warriors franchise should think. However, realistically speaking, Golden State stands a few chances to win the trophy this year. Want to check out a game at the Oracle Arena? Check out our guide on how much are Warriors tickets for their home games. 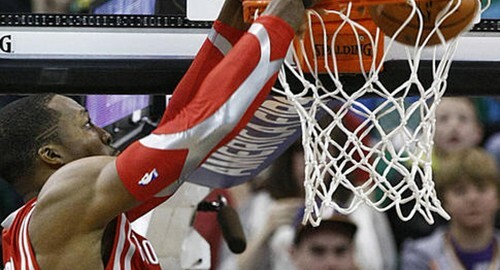 Your chance to see Dwight Howard and the Houston Rockets take on the Lakers April 8th at the Staples Center! 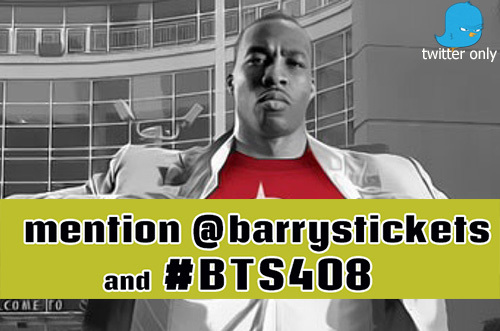 Your must be following BarrysTickets on twitter to qualify! Winner will receive a pair of April 8th Lakers Vs Rockets Tickets for the Los Angeles Staples Center Game at 7:30pm. Winner must pick up the tickets at our downtown office on April 8th. Multiple entries will be deleted and only one will be entered. Barry’s Tickets reserves the right to change or cancel any promotion or contest at anytime. The six-month wait for Kobe Bryant to return from his Achilles injury was short-lived. The Lakers superstar was slowly working his way back into shape before injury struck again a week ago Tuesday versus the Memphis Grizzlies. Bryant’s knee injury was suffered in the third quarter. The optimism the Lakers saw in Bryant’s improved play has he rounded into form was quickly scuttled once again. Bryant’s fracture of the lateral tibial plateau in the same leg he suffered his Achilles tear has put Bryant on the shelf for an additional six weeks that will carry through into the All Star break. The injury has made many question the wisdom of Bryant returning at all this season. The Lakers superstar reiterated his determination to play again this season, which he will likely do. The latest injury, although clearly not season ending, has once again made many question the Lakers decision to extend Bryant for two additional seasons beyond this year. The Lakers have re-upped Bryant so it’s pointless to debate the merits of the deal. The club may have over-paid for the player that Bryant is at this point in his career, but you have to admire their interest in rewarding their superstar for what he’s done for the franchise. In a difficult Western Conference it’s difficult to see the Lakers competing for one of the final playoff spots. Los Angeles currently sits at 12th in the west, in a solid group of teams that includes Denver, Minnesota, New Orleans and Memphis. The Dallas and Phoenix greatly improved the already competitive west has become even tougher. With the Lakers playoff chances dim does it make sense to sit Bryant the entire regular season? Actually getting the famously competitive Bryant to sit out the season is a challenge in itself, but the idea of sitting Bryant does make some sense. Without Bryant the Lakers were surprisingly competitive due to the roster decisions they made in the offseason. An entire year off would give Bryant the ability to truly recover, both from the knee injury and the Achilles. There is no indication that the two injuries are related but Bryant has now suffered two major injuries on the same leg in the past eight months. A fully recovered Bryant, even if he’s diminished athletically, will allow the Lakers to achieve the max value out of his two-year extension. During the remainder of the regular season the club can take a long look at some of the younger players (Wes Johnson, Nick Young, Jordan Farmar) that have helped ignite them this season. The combination of a potential lottery big and any value the club can get for Pau Gasol in a potential trade will give the Lakers even more versatility next season. The Lakers fan base can tolerate a subpar season to build for the future. A fully recovered Bryant and a solid draft pick can do wonders for the franchise as they move into next season. Meanwhile let’s sit back and enjoy this year’s team, who though far less talented are a lot more entertaining than last year’s Dwight Howard centered club. By:Chris Michaels. 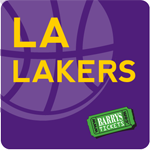 Barry’s Tickets buys and sells Lakers Tickets for all games at Staples Center! 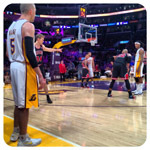 All Los Angeles Lakers Tickets are 100% Guaranteed to be Authentic and Delivered on time. Can a healthy Pau Gasol fill in for Dwight Howard? The Los Angeles Lakers experienced a big shock, due to the departure of megastar Dwight Howard this summer. But can they be optimistic that the hole Superman left behind will be filled somehow? Probably yes. That’s because they possess one of the best big men in the NBA, in Pau Gasol. The 7-footer Spaniard is one of the team’s stars that didn’t play up to their potential last season. Pau Gasol will be under pressure in 2013-2014. Inevitably, he will be the target of comparisons with Howard. Assuming he is once again healthy, could he fill in for the gone monster center? If we look at the stats sheets of both of them, we can see many similarities. Certainly, D-12 is more forceful around the rim and he is more athletic. Howard is a fancier player, a more impressive dunker and a better blocker than Pau Gasol. Nonetheless, Gasol has some other attributes that Howard is missing, like a mid-range jumper and solid passing skills for his size. He is much more accurate from the free-throw line, too, an aspect of the game that sometimes dooms Howard’s strengths. If Gasol manages to find the good part of his self once again, then he could make Howard’s absence unnoticeable. The 2012-2013 campaign was Gasol’s less productive one of his career. He averaged 13.7 points per contest, 8.6 rebounds and he also shot 46.6 shooting from the floor. He played in 49 games and started in 42 of them. Those numbers could be adequate if Gasol was a mediocre power forward or center. 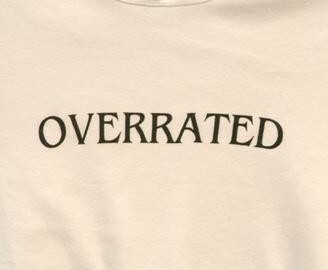 But we all know that can do much better than that. The 7-footer has an 18.4-point per contest average for his career and also 9.2 rebounds and 3.3 assists. He is also a 51.8 percent shooter from the field. Dwight Howard averages 18.3 points per game to go along with 12.9 rebounds and 1.5 assists. His shot average from the floor is 57.7 percent. It’s obvious that a healthy and good-shaped Gasol he can perfectly replace Dwight Howard. Defensively, Gasol can contain almost any opponent at the power forward and center positions. The big question of course now for Gasol and the Lakers is what condition he will be in, how well he will be able to help his team win games. This will be a major concern for Mike D’Antoni next season. He has to find ways to utilize his big man, and also bolster his mental condition. Due to the slump of the previous season, Pau Gasol played like he had no motivation. The incompatibility with Howard was obvious. Sometimes, the Los Angeles Lakers were better when only one of them two was on the court. When Gasol was out due to injury, this became even clearer. LA certainly has the quality needed to surprise the league and record a successful season next season. All they have to do now is to find a way to return to their usual standards, both individually and as a team.